Having worked with clients from zero subscribers, to well over 100k subscribers, I’ve seen it all. Unfortunately I’m never able to give a super straightforward answer because there’re so many factors involved. So in this blog post I’m going to talk you through my thought process for judging what’s working and what’s not working. Can be improved. Look at cleaning your list. 4 out of 5 people are not reading your emails. You’re probably paying for a lot of deadweight/cold subscribers. About average. Can be improved, but if your list is bigger/older, you may struggle to get above 30%. Excellent. Really, really good stuff. Epic. Seriously, this is incredible. All the awards and prizes for you. You are winning at life. It’s also worth noting that open rates are not 100% accurate e.g. a subscriber that reads your email in their email viewing panel in Outlook may not get tracked as opened. Similarly, if your audience is largely fellow online business owners, they may be using a tool like Unroll.me to manage their inbox. If they click to unsubscribe through Unroll.me, this won’t register as an unsubscribe in your email service provider, so you’ll still be sending them stuff but there’s virtually no chance they’ll ever see it, no matter how good your subject line! Another reason to regularly clean your list! If you don’t put a link in an email… then it’s always going to have 0% click rate! If you include your newest full blog post in an email, then they’re unlikely to click through to read it on your blog. No more than about 1% unsubscribes per broadcast should be achievable. If you’re mid launch and you’re sending an increased number of emails to a poorly segmented group of subscribers who just aren’t interested in what you’re selling. If you’re regularly getting more than 2% unsubscribers, you want to take a look at segmenting your list better and only emailing people things they’re likely to be interested in. There’s quite a few different elements to a sequence/autoresponder report, but taking the time to look and tweak can mean improving by a couple of %, which may mean $100-1000s more in sales! The open rate mostly just indicates the quality of your subject line. For a welcome sequence, you ideally want open rates at 50% +. That shouldn’t be too difficult to achieve. If you’ve got an email with a lower open rate, try changing the subject line. If you’ve got a challenge or mini course of some sort as a freebie opt-in, then you may see a dramatic drop off in open rates after a certain day. If this is the case, then you want to see if you can improve engagement after that point. Click rates indicate how engaging/compelling/relevant the call to action in any given email is. 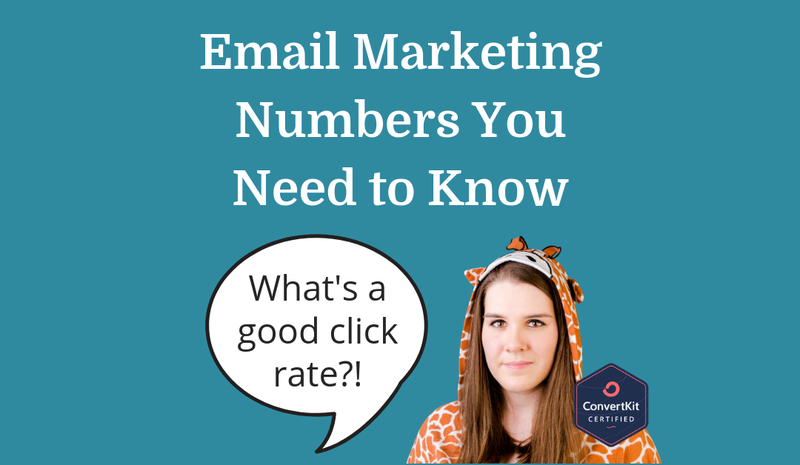 If you have an email with no links, then that’s going to have 0% click rate, and that’s okay! Lots of people tell me that their sales funnel isn’t working. But let’s break it down…. And you have a 30% open rate, that means 30 people read the email. And you then have a 10% click rate, that means that 10 people clicked through to your sales page. If you’ve had 100 people go through your funnel and 1 of those people bought, with the stats above, that’s really good! Only 10 people saw your sales page and one bought! If you can improve your open rate to 50% and your click rate to 20% or even 30%, then you’ll double or even triple your conversions, all from the same 100 people going in! As a general rule of thumb, wait for 100-200 people to fully go through your sequence/autoresponder before reviewing the reports and making changes. If you’re making small changes to your sequence/autoresponder, you can just take a screenshot of the current report, make the changes, and then review after another 100-200 people have been through. If you’re making substantial changes to a sequence, then I recommend duplicating the sequence, ‘connecting up’ the new version of the sequence to any automation. This allows you a fresh start with the data. It also means it’s possible for existing subscribers to go through the new version of the sequence if you want. Again, conversion rates for forms and landing pages depends. If you’ve got a form embedded onto a high traffic page (e.g. homepage, about page, blog posts, in the footer, etc) then the conversion rate for those forms will likely be much lower. There was a lot more going on on that page than just getting them to sign up. Many people reading my blog posts will have already joined my list, or they may just not want to hear more from me! However, landing pages should have a much higher conversion rate. I’m talking about pages where the only option is to sign up or close the page. Ideally a good landing page will convert at 40%+. However, it does depend on the warmth of the traffic arriving on that landing page. If they’re coming ‘cold’ from Facebook Ads, then the conversion rate may be lower than if you’re sending existing subscribers to a landing page. This was my landing page from my 2nd ConvertKit Rockstars launch. 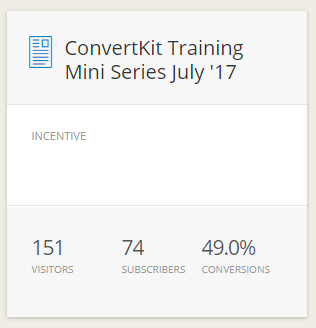 I was happy with 49% conversion. Depending on what your email service provider allows, I do recommend that you set up a different form for each type of page/location, even if the freebie or form is the same. That way you can track the effectiveness of your forms in different locations much more easily. It’s easy to get swept up in ‘industry averages’ and comparison, but all that’s doing is preventing you showing up and serving your audience fully. It doesn’t really matter what stats anyone else has, there’s far too many variables involved. Create your own benchmark and then try to improve that. Stay curious about what may be happening and think outside the box for ways to tweak and test. I’d love for you to share in the comments which of your email marketing numbers you’re most proud of, and which could do with a little boost!